1. 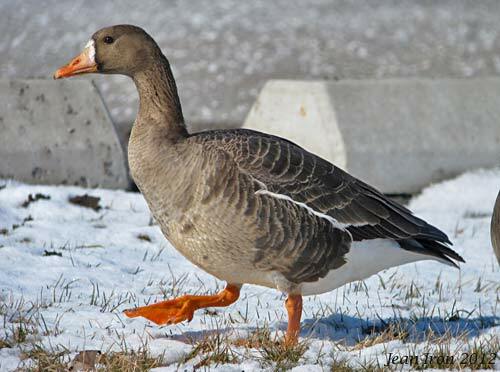 First year Greater White-fronted Goose on 19 February 2012. Kevin McLaughlin and I aged it as in its first year (formative) plumage, hatched last summer. It had a mix of older worn faded juvenal scapulars and wing coverts and newer darker second generation scapulars and coverts with narrow white edges. 2. 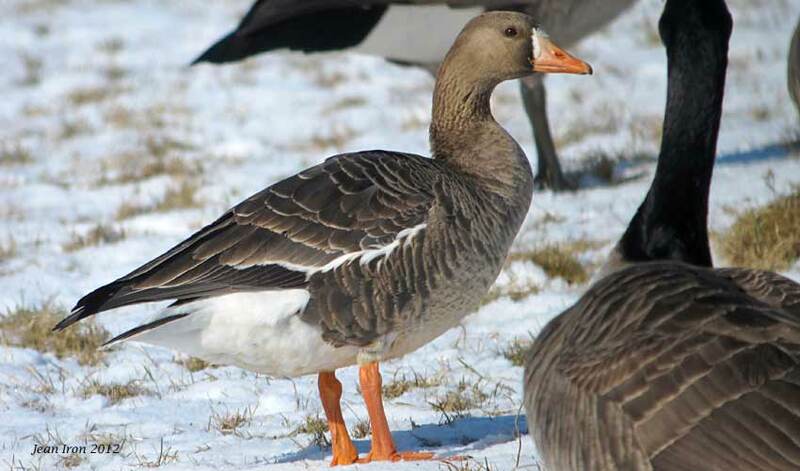 Same first year Greater White-fronted Goose on 19 February 2012. On its face around the top of the bill and under the chin is a narrow white band bordered with black that will widen as it gets older. 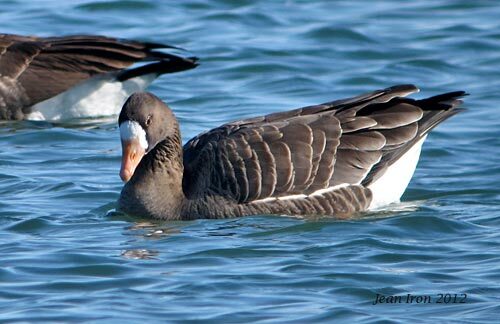 This goose lacked black splashes on the breast and belly, which it will acquire after its next molt in the summer.